If you believe that lives can be changed through the transformative power of education, then JOIN US! Whether you lead a state, a district, a school, a team, a classroom, you are here because you believe that you make a difference every day. You believe that the work you do to inspire your fellow educators and the students in your classroom(s) matters. And finding the support and camaraderie to celebrate and challenge you can make all the difference. At KP Mathematics, our work centers on inspiring teachers and leaders to reimagine mathematics teaching and learning. And we invite you to join us in this endeavor…to be inspired and to inspire those within your sphere of influence to consider new ways of teaching, new ways of learning, and new ways of thinking. When I first transitioned from classroom teaching to coaching, it was my network of coaches from other schools that helped my gain perspective and expertise. That’s what we want to create here – a group of teachers and leaders eager to support one another in our individual and corporate pursuits. Know Your Why: Take a moment to write down one to three sentences that describe why you do what you do every day. Write the final draft on a notecard, put it in an envelope, seal it, and write “for a really tough day” on the outside. Open it on a day when you find yourself questioning if this work is really worth it. And then share it with your network. I promise – your message to yourself will make a difference for you and for others. You can view the KP Mathematics “why-how-what” statement here. Find Your People: Find a community that you can relate to. A network where you find energy, positivity, challenge, and camaraderie. Online networks have the advantage of offering a variety of perspectives from a wide range of expertise. You can find such a group right here in the It’s All About Learning blog as well as on the KP Mathematics Facebook page. 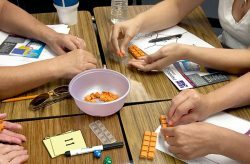 Explore the Mathematics: Join us in our mathematical journey as Peggy, the P in KP Mathematics, dives into the depths of the work we personally do. 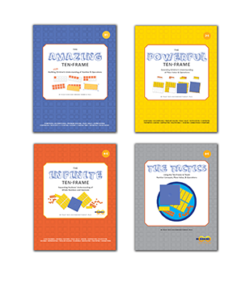 She’s exploring, journaling, and reporting what she learns as she examines the unique contributions made by KP Ten Frame Tiles and why this manipulative facilitates learning like no other. You can find her first journal entry by clicking here. 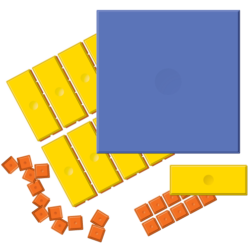 Here at KP Mathematics, we create innovative tools and strategies that fundamentally alter the way foundational mathematics is taught and learned. 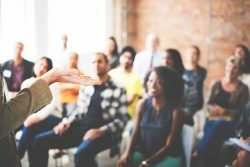 And through these tools and strategies, we substantiate our belief that empowered teachers make a difference…and empowered learning changes lives. We are so happy that you’re on this journey with us. In the comments section below, please tell us a little about yourself and why you do what you do every day.